Fabri-Tek produces PTFE release sheets in various different sizes and colors for high speed commercial toaster ovens. Our PTFE release sheets are specifically designed for use in toasters manufactured by A J Antunes, Prince Castle, Marshall Air and APW Wyott. We also produce various sizes of PTFE release sheets used for commercial grills and griddles. 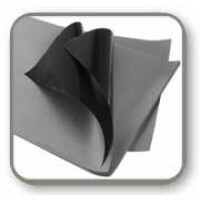 Our griddle PTFE release sheets are specifically designed for use in commercial grills/griddles manufactured by Taylor, Garland and Keating of Chicago. Fabri-Tek produces Silicone coated fabric belts specifically designed for A J Antunes commercial high speed toasters. Our Silicone toaster belts have a wavy tread system on the top surface which allows the belt to grip the bun throughout the toasting process to provide the precise amount of heat and time desired.